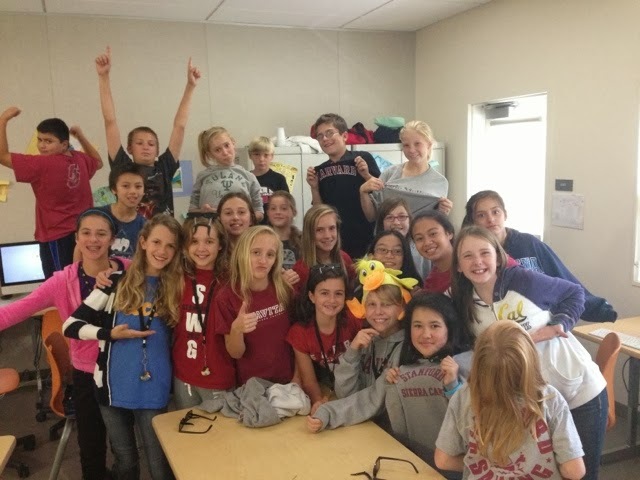 hillviewasb.com: 6th graders rocking College Day! This is the best class ever! We love Mr. Darmanin! Awesomness! Thats us! 5th period is the best! Go fifth period! The best leadership comes from us!!! That was fun!!!! GO LEADERSHIP!!!! Yay 5th period Taste of Leadership! We rocked that picture! Happy college day! Yay! we look so fab. soph looks angry! tear. Look upon the magic duck hat!!! The duck hat is HERE!!! looks fun! Wish I was in 6th grade Leadership again! 6th period rocks! GO HILLVIEW!!!!!! I'm glad that 5th period has more than 6th. I wish we could have leadership for the whole year.